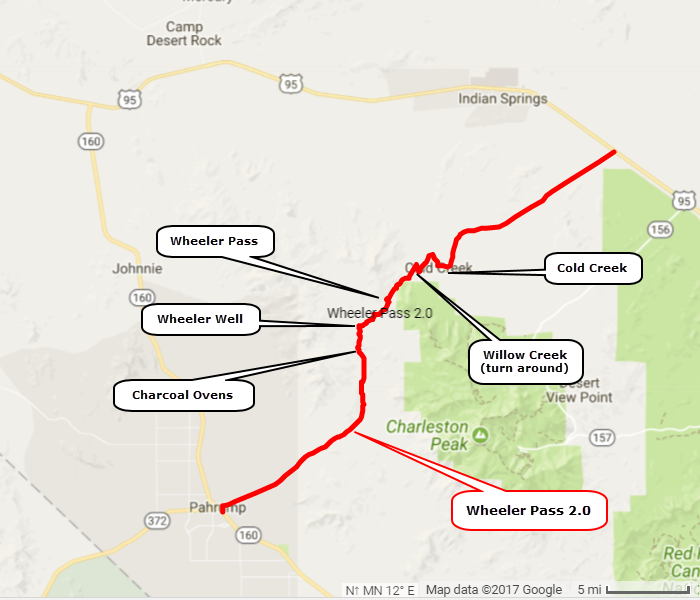 Wheeler Pass is the only Jeep trail over the Spring Mountains between Pahrump and US 95 west of Las Vegas. ​There are wild horses along the entire length and nice views along both ends of the trail. We ran this from Pahrump to US 95. It can be done either way. 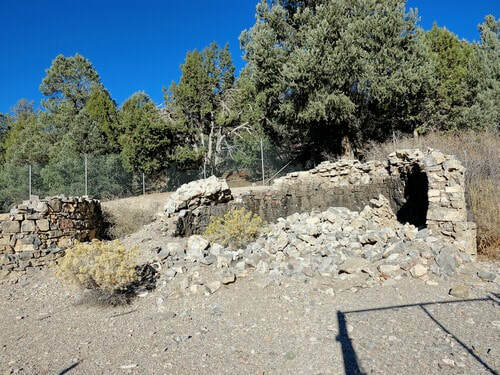 If you are starting in Pahrump, we suggest you go to Willow Creek at the bottom of the east side then turn around and go back to Pahrump. There is not much of interest beyond there, and it will save you a lot of miles. This trail does not really belong in this Region, but there was no other place to put it. 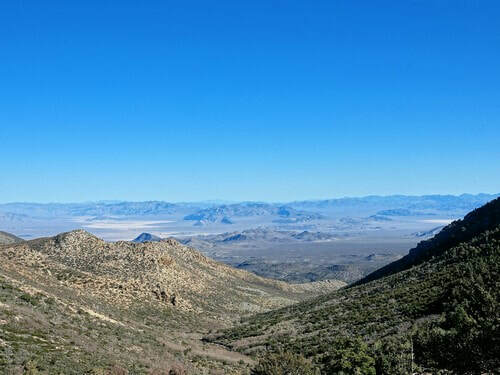 Leave Pahrump on a wide open gravel road and climb for about 10 miles. 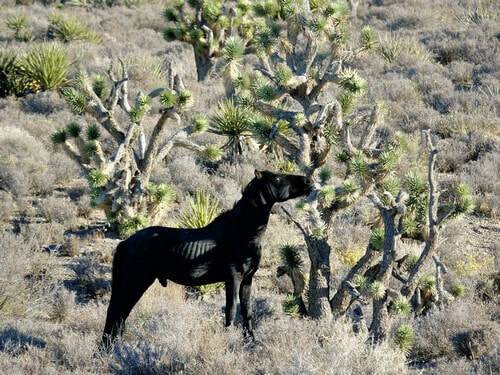 Nice stands of Joshua trees and good views of the Spring Mountains. Turn left on a lesser road and stay in the trees until almost at the pass. Not much for scenery in this 9 mile section. ​Vandals have reduced a set of old charcoal ovens to nothing but partial stone walls with a fence around them. When we got to Wheeler Well, shortly after the charcoal ovens, we found it occupied by an owl and a dead squirrel. 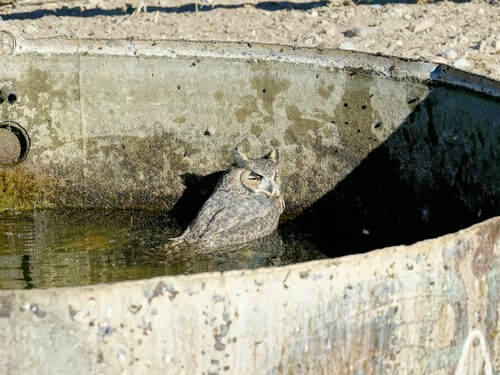 The owl was wet, cold, lethargic and could not fly out of the well. We surmised the owl caught the squirrel and landed on the well to eat him. Perhaps dropped the squirrel in the water and jumped in to retrieve him then could not get back out. We put a branch in the well and "persuaded" the owl to get up on it so he could dry out and fly away. 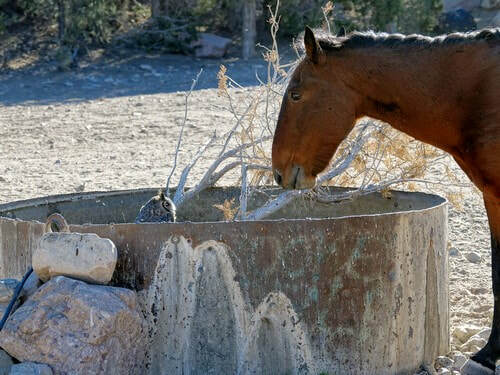 A wild horse came by to get a drink and find out what was going on. Hope the owl recovered. 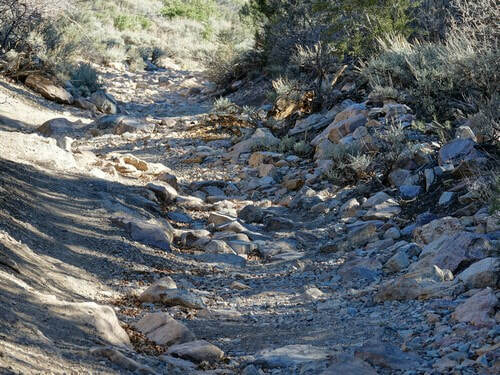 The trail has rocky and eroded spots on both sides of the pass, but they are not difficult. The east side of the pass is mostly open with nice views of Indian Springs Valley and the mountains beyond. There is a steep hill as you drop down the east side of the pass then the road is easy all the way to the community of Cold Creek. 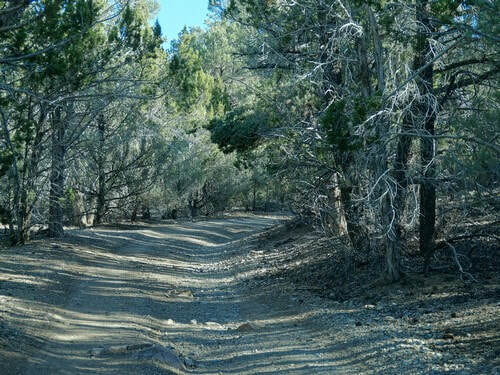 There is a 13 mile paved road from Cold Creek to US 95.